Just Announced: Free Flights to Antarctica! 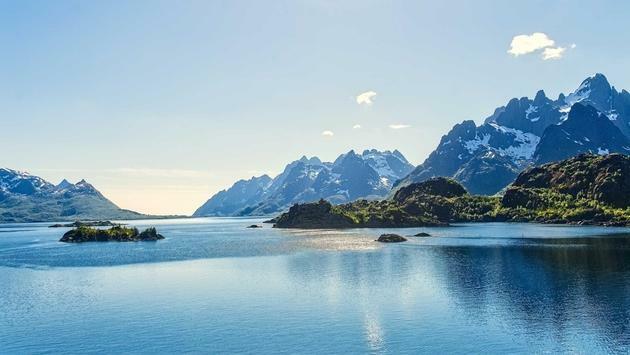 Book one of our June – October, 2019 cruises along Norway's stunning coastline, and you'll receive up to $400 per person in onboard credit! Regardless of which cruise you choose, we're offering onboard credit for each guest, perfect for participating in a number of exciting excursions. Think: hiking amongst magnificent fjords, kayaking throughout charming Nordic towns, and even snowmobiling under the polar night sky! Book any of these activities on board, purchase items in the onboard store, or even relax with a glass of wine at the end of the day, all with your onboard credit. If you join our 12-day roundtrip cruise along the coast, you'll receive 3,600 Norwegian kroner (NOK), approximately $400 per person. Or, join our 7-day northbound or 6-day southbound cruises and receive 1,800 NOK, approximately $200 per person!